Sunshine Blogger Award #2 – Talk Exchange..! I thank my lovely blogger friends ANANYA (Ananya Studios) and ATUL DEPAK for nominating me for this prestigious award. Readers, please go through these blogs. Ananya’s works are great and Atul writings are marvellous. They truly deserve appreciation. Ans: My first priority is Talk Exchange, my blog, but I manage my 10th studies also along with it. Ans: Music and Sleep are my stress busters. Ans: Ananya Studios’ works are lovely. Honestly, No Suggestions as I believe that Unless I am not perfect, I am not capable of suggestions. Your blog has it’s own beauty which I totally love. Ans: I write for others because I like to make a difference for someone else and the words in my heart are on my blog. If you just go through my posts, Dear Mom or Wedding Vows, I have expressed all that I feel about my loved ones. So, I do write for others because their happiness makes me happy. Ans: I actually love every bit of my blog but specifically, I love all of those posts which I have written for my loved ones. Q1: Who according to you has been the most influential person in the history of Humankind? And why? Ans: For me, the most influential person has been Tony Robbins. Of course he is still breathing but he is my motivation. Q2: What according to you can make the world free from nuclear-weapons? Ans: Understanding the fact that every conflict can be resolved by words, the world could be free from nuclear weapons. Q3: What according to you can solve the hunger and malnutrition problem in the world? Ans: This is actually a huge problem faced by the world today and I really don’t think I can suggest anything on this issue. Q4: What according to you can free your society from patriarchy? Ans: Giving equal importance to women of the house as after all they are reason behind we having healthy, delicious food and they transform a house into a home. Q5: What according to you is the reason for low number of inter-caste marriages in India? Ans: The people in India still have orthodox thoughts and the concept of love is not easily accepted in India. So I think that if the Indians become a bit broad minded then maybe we won’t face this issue. Q6: What according to you is the best solution to the problem of corruption? Ans: Eradication of the criminal and self centered mindset. Q7: Should death penalty be abolished? Ans: No, If they have the guts to go wild then we too should definitely show them the consequences. Q8: What qualities in a person impresses you? Ans: As I have said this in my previous award too, I firmly believe that every person is different in his own way. I just try to find that beauty, that one unique quality of the person which makes him different from me. Q9: If UN headquarters were to be shifted, in which city you would want it to be shifted and why? Ans: It should be shifted to London. Honestly, the only reason behind this is because I love London. No specific reasons. Q10: What according to you could have possibly averted the partition of India? Q11: What according to you can peacefully unite the whole subcontinent into one nation? Ans: As said before, Mutual Understanding. How do you describe yourself in one statement? Who has motivated you to Blog? 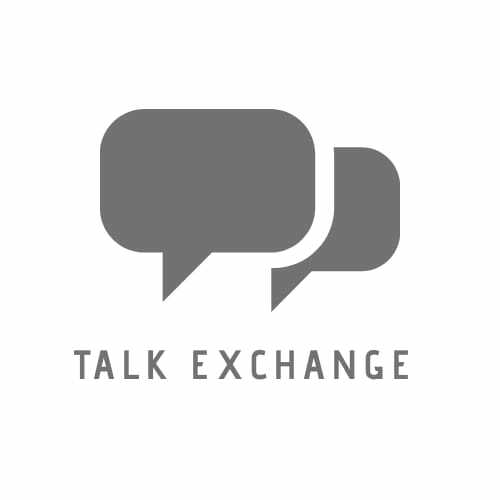 What are your feelings and thoughts about me and Talk Exchange? Who or what is your most favorite? Well done! A well-deserved award. Congratulations once again my dear. Amazing answers. Great going . Keep writing. Congrats Neha! Talk exchange sounds so cool. I have to check your blog out. Thanks dear..Sure..Do check it out and exchange your talk about it.. I will check your blog out. Happy new year too. Thanks a lot Prasad…Mla mahit nahi Dr. Smriti kon ahe but me definitely search karen…Thank for sharing..
Ohh great …I’ll try to attend someday.. !! Nd mast parat attend krnaar ahes tr mag .. Yes mg…tya atmosphere madhe positivity Aste faar…3rd time attend karel ata.. I have just recently started dropped by your blog and I can say that you truly deserve the award. NextStepping Stone…Journey Towards My Success.